Chanel card case: I recently consigned this for a friend. This card case is absolute stunning in person and also practical. I'd love to own one in the future. Chanel earrings: I bought a pair of earrings 3 years ago and still love it to death. They sure will add sparkle and glamour to any outfit this holiday season. 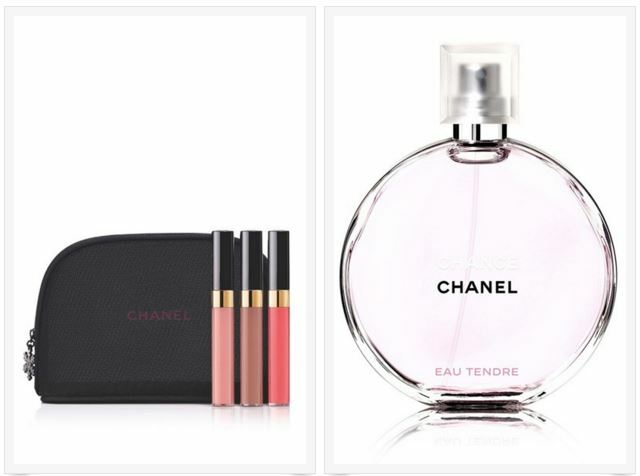 Chanel perfume: I bought a small bottle of Chanel Chance 2 years ago and have used it all up. The scent is very fresh, uplifting and elegant. I am thinking about picking up another bottle soon. Chanel brooch: My husband got me this brooch for Christmas and I am head over heels in love with it. It's very classy and understated. Hi! Great tip on ordering beauty products....A Pretty packaging is so exciting! well wishes to you & have a great weekend.